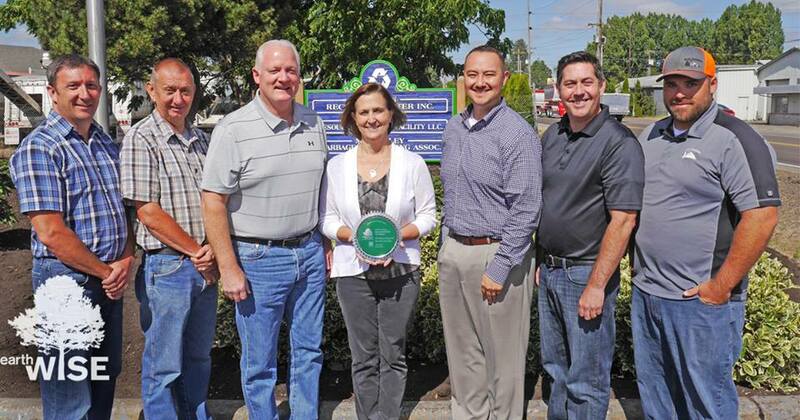 Mid-Valley Garbage and Recycling Association was formed in 1987 by the eight Marion County and West Salem garbage and recycling collectors. The purpose of this association is to work together on an unified services across the county, collaborating on projects like education or community outreach, and sharing practices to provide the best possible service to their customers. Marion Resource Recovery Facility opened its current location in 1989, and completed a total renovation of its complex in 2000. The MRRF accepts loads of dry waste; primarily construction, demolition, and retail waste; and use a combination of mechanical and human sorting to recover recyclable materials from the waste stream before it is transported for disposal. Recoverable Cardboard, Concrete, Metal, Sheetrock & Wood are loaded into semi-trailers for transport to various recycling processors and markets. The haulers also use the facility reload residential mixed recycling and yard waste/mixed organics, both of which are then hauled to facilities that process them for market. For more information, call (503) 390-4000.